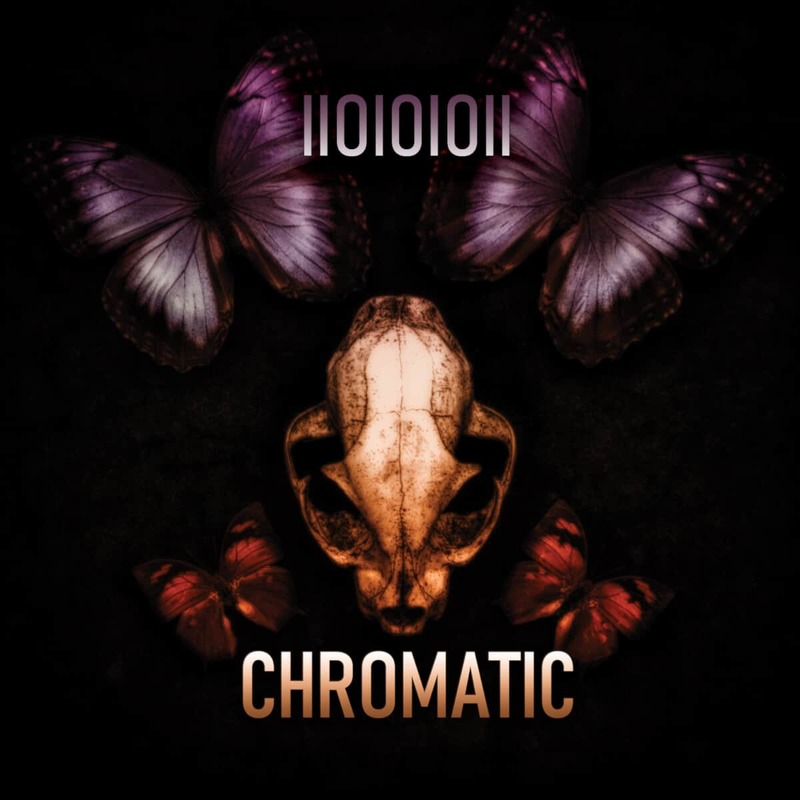 Chroma+Chromatic are the much-anticipated follow-ups to Charlotte, North Carolina electronica project IIOIOIOII’s 2016 Post Brimstone album. Chroma, a ten-track album of new, original material, sees Chris Gurney (the musician, producer, vocalist and arranger behind the band) take the last few years of musical and life experience to create something that is sometimes melancholy, often moody but always majestic. Taking inspiration from any number of dark electronic genres from downtempo to synthpop to industrial, as well as artists such as Depeche Mode, HEALTH, ohGr and The Black Queen; the tracks are also infused an innate understanding of how melody and arrangements can be used to paint a series of mood pictures to stir the senses and elicit a wide array of emotional responses. The album is the fourth from IIOIOIOII and sees them reach an even greater level of insight into the emotional and everyday obstacles, defeats and victories that we all encounter when we attempt to live our lives to the fullest. Chroma will appeal to those who like their electronica with an ambient undertone but an awareness of the reality around us, gentle tones fusing with complex rhythms and more abstract emotional undercurrents to deliver a rich and rewarding listen. Sister album Chromatic reflects the Chroma album perfectly, featuring a series of remixes by the likes of Grendel, Adoration Destroyed, Lorelei Dreaming, Glass Apple Bonzai, The Rain Within and labelmates Nature of Wires, as well as another two original tracks – Over and Path To Lose. All the remixes are radical reworkings of the parent songs, defined by them but taking different paths, exploring opposing tones and textures whilst staying true to the spirit of Gurney’s work. “I see them as separate albums but the same release since they directly mirror each other. The whole concept behind the title Chroma is that uses color very heavily and Chromatic is defined as “relating to or produced by color”.